I’ve held off from including this book in my “Magnificent Books” series because it feels like a bit of a cop out. Normally I like to choose books with deep and complex messages. Allegories of emotional topics that can help children become better people through osmosis. The “Little Blue Truck” is simpler than this, much simpler. An yet it is by far our most read book. Perhaps its appeal is in its simplicity. It has been a staple of our household for almost 5 years. My son loved it as a baby and, now 4 ½ years old, he can recite the whole story to his baby sister. She regularly picks it up, plops herself down in my lap and indicates that I’m expected to read it to her, again, and again. It is probably the only book we have that they both enjoy equally despite the different developmental stages. The story begins with the friendly Little Blue Truck saying hello to all it’s animal friends. 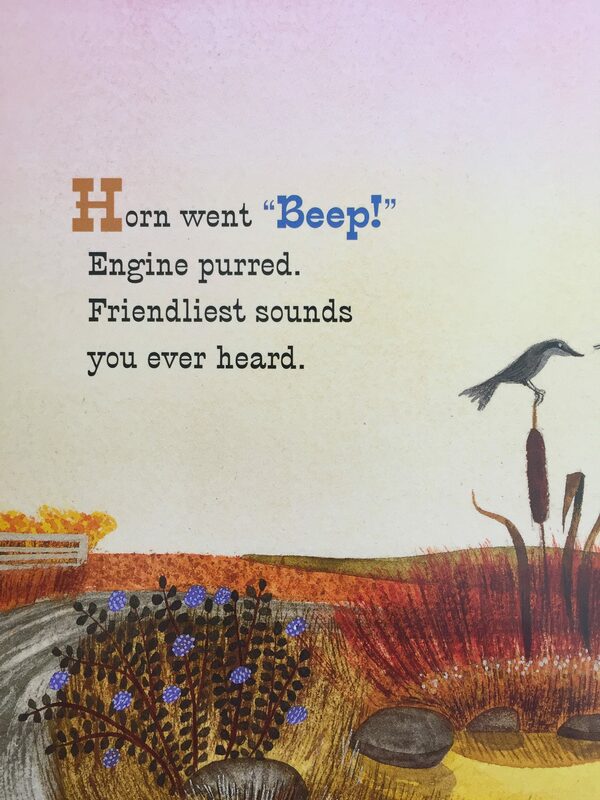 Its an impressive feat to squeeze each animal noise into the bouncy rhythm of the rhyme but the cadence is such that a pause to let your kid Moo or Cluck fits the timing perfectly. 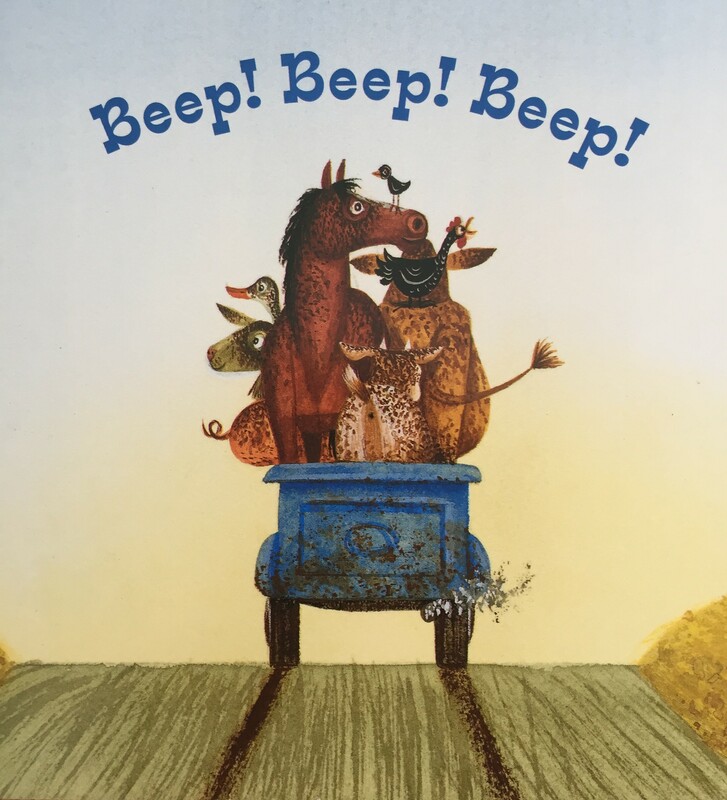 The peaceful farmyard scene is interrupted by the arrogant, speedy Dump Truck who doesn’t have time to pay people niceties. Shock, horror, its not long before the Dump Truck runs into trouble and reluctantly needs to ask for help. The only one who helps is Little Blue, but, despite his efforts, he ends up stuck too. However, when Little Blue calls for help EVERYONE immediately comes to his aid. 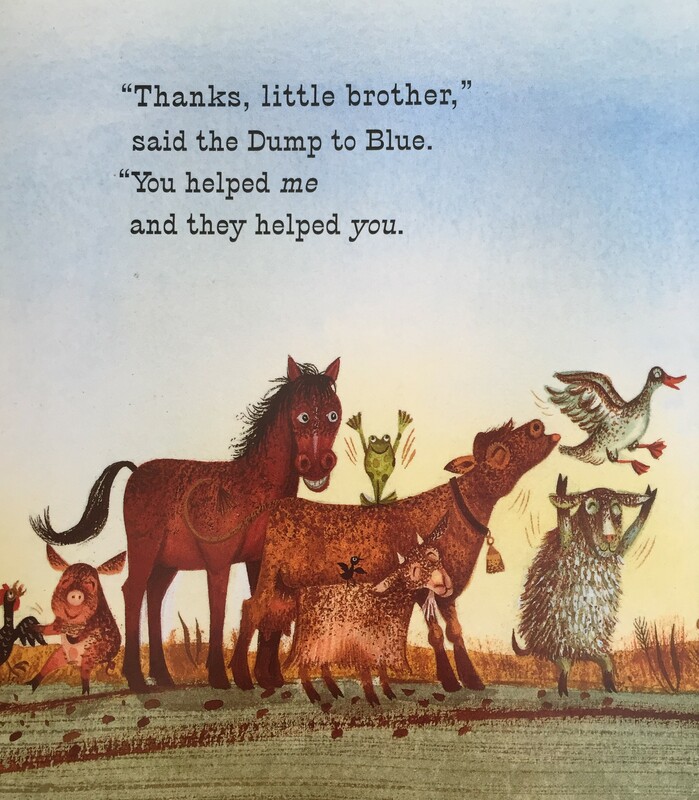 The trucks get removed from the mud, everyone is happy et voila the arrogant Dump Truck learns something about the value of friendship and not dismissing the little guys! I know, I know, subtle as a sledgehammer, right? This story teaches you that by being a nice person, or truck, means good friends will gravitate towards you. That easy gestures like saying Good Morning to people may seem tiny or simplistic but are the building blocks to strong foundations in friendships. So many of us are busy and so many of us have “big important things to do“. It is easy to lose sight of those foundations. Then, when, as will happen to us all at some point, we get “bogged down deep in the muck and mire” we realise that “our big important things” are of no help or consequence. What truly matters, when you are REALLY in the muck, is those people who will jump in there with you and push “head to head and rump to rump” until you are back on your feet, or wheels. Previous PostWhat will you do? You are merely men! Next PostAt what age should we teach our kids about consent?